Amor de la Bicicleta, Entregado. It’s about your joy when you’re riding your bike. 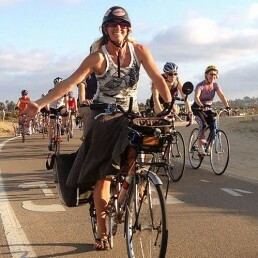 And how you can make bike riding better in San Diego. You’ll get important action alerts and news about bike share, fun local bike rides and more delivered right to you. Sí, ¡ponme en la lista de correo de BikeSD!